Happy Monday! 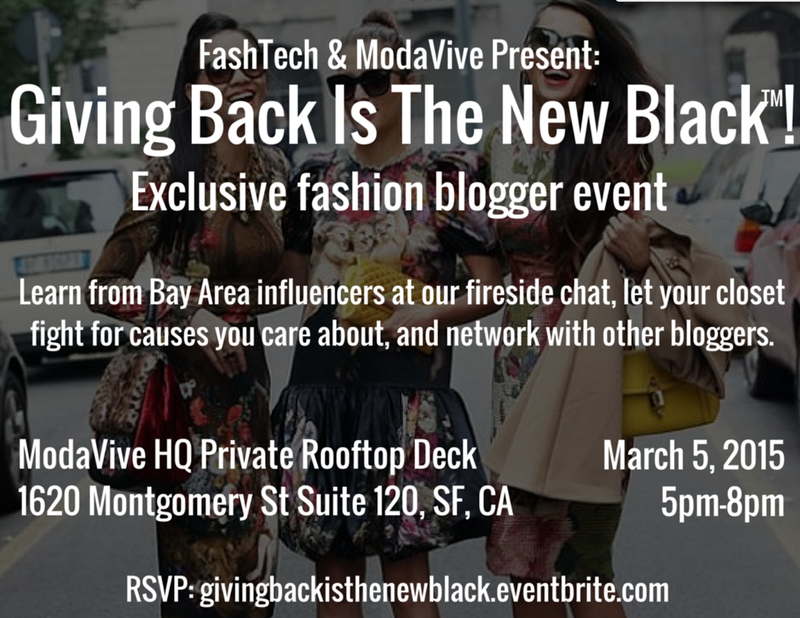 Some of you have seen my social media posts about this Thursday's fab event at ModaVive's roof deck 5-8pm! I will be co-hosting the event along with other amazing bloggers and influential fashionistas in the Bay area such as Bryn Newman of Stone Fox Style, and Britt + Whit. The special guest of the night is Lorraine Sanders, a San Francisco journalist covering the intersection of fashion and technology. She writes regularly for Women’s Wear Daily, the San Francisco Chronicle, Ozy Media and others. Can't wait to see you there! Get in for free by donating a designer piece! ModaVive is a platform where individuals and groups can clean out their closets and raise funds for worthy causes. You can be a donor or a fundraiser through ModaVive's platform. A percentage of every sale is donated to charity. Their mission is to help worthwhile charities achieve their goals by raising money and awareness in a simple, fun and social way that engages volunteers and leverages commodities we all have excess of.